Commercial female and male models from most ethnic backgrounds can work in Montreal. There is no preference for blondes or brunettes, but a slim, healthy build is preferred for female models. Male models on the other hand should have a more muscular build to them and should be clean shaven. Models who hope to work in Montreal should have the following measurements. Montreal clients prefer commercial models between 18-28 years old. What matters more to the client is if the model's look fits the brand's style, target demographic, and the mood they're going for. It's hard to say exactly which models work well in Montreal. The models listed below are models who often commute between Toronto and Montreal and are considered some of the best working models in either city or both. Montreal is a lot less casting-oriented than Toronto. In Toronto, models can be expected to go on a couple castings per week. While in Montreal, a model may have castings only a few times per month. This is because a lot of the booking in Montreal is done via clients looking up the agency boards. Once they have selected a few models, they'll then ask for snapshots and additional photos. If they still haven't made a decision, they will hold a casting for the models who are shortlisted for the job. But in most cases, the jobs are booked directly. There are many different campaigns models can expect to shoot for in Montreal. The client list is extensive and the photographers in Montreal are also incredibly talented. Models who get the opportunity to shoot for any of the clients listed below are almost guaranteed beautiful photos for their portfolios. The campaigns are also all shot exclusively for Canada and not for any outside territories. Clients: RW&Co, Garage, Bikini Village, Beau Belle Couture, Bizou, Little Burgundy, Femme de Carrier, Le Chateau, La Maison Simons, Limite, Matinique, Buffalo by David Bitton, Soia & Kyo, Lise Watier, Laurier etc. Local clients e.g. UNTTLD, usually don't shoot campaigns, and if they do, it's not very often. Local clients usually opt to shoot lookbooks and use those images as their 'campaign' shots. Rate: It's hard to say what the rate is for a model who shoots a campaign because the prices can vary. For local clients, the rates are calculated differently because the usages are much less than true campaigns. Campaigns for direct bookings or for larger brands may start at around $3000CDN per day. But for local models or models working for smaller clients, they might be looking at smaller amounts that can fall anywhere between $500-1500CDN per day. Note: The price can depend on the brand, terms of usage, and even number of models used. Although Montreal doesn't have many publications, the tearsheets from any of them are almost always very well done and make great additions in a model's book in any market. Alexandre de Bellefeuille, a former booker at top Montreal agency, Folio, was also quoted on ModelResource.ca as saying, “models can also get some great French tearsheets [in Montreal] from the likes of ELLE Québec [and] Clin d'Oeil, always good to let your American clients think you've shot that last editorial in France.” Not a bad idea at all! Clients: Mixte, Elle Quebec, Lou Lou, Z!NK, Dress to Kill, Clin d'Oeil, etc. Rate: Editorials anywhere in the world rarely pay well. Montreal is no exception. A model can expect to earn between $0-300CDN per editorial, depending on the publication. Working for online catalogues usually pays quite well. The catalogues are very simple and easy to shoot with usually no more than 50 looks per day. These clients are also very loyal to the models they book and will often book them several times per year. Please refer to any of the clients websites below to take a look on what kind of models they tend to hire and what sort of work and poses to expect. 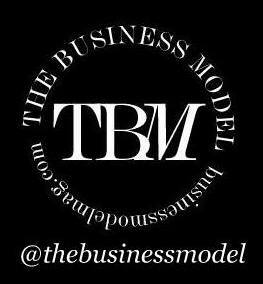 The Business Model always encourages models to do their research on the companies they're going to be working for! Clients: Ssense, Beyond The Rack, Le Chateau, etc. Rate: For a half day, rates fall between $250-1000CDN. For a full day, models can earn between $1500-3000+CDN; depending on the client, if the catalogue is online or print, and the model's experience. Montreal has two fashion weeks throughout the year. Clients: UNTTLD, Dennis Gagnon, RAD by Rad Hourani, Mackage, Andy The-Anh, Mélissa Nepton, Harricana, Ralph Leroy, Rush Couture by Claudette Floyd, Nisse, Pedram Karimi, Symbiose by Hinda A., Maryline Baril Glasgow Design, Voyou etc. In addition to F/W and S/S fashion weeks, there is also the Fashion & Design Festival that takes place at the end of July until beginning of August each year. The festival is a huge event and many models, designers, photographers, and industry professionals can be found either working at or attending the festival. If you're based in Montreal or Toronto, the show could be useful for a model's PR as well as to network and get connected with others in the business. For models who plan to travel to Montreal for work, the best season to work in Montreal is during the summer or in the winter. The in-between seasons, Spring and Fall, tend to be on the slower side. But with direct bookings dominating the Montreal modelling scene, the work season isn't a huge factor. Public Transportation – The Montreal public transport (STM; Societe de Transport de Montreal) is a quick and reliable way to get around the city. There are four subway lines all which connect to the city's centre as well as major districts. The subway (metro) also runs until 1:00 a.m., during the week and 1:30 a.m., on the weekend which is convenient for models who have a late day of shooting and don't have to take a cab. Taking public transportation and walking during the summer in Montreal is a beautiful, cheap and reliable way to get around the city. Driving – For models who have a car, driving in Montreal is much less hectic than in Toronto. There is less traffic on the streets and parking is more fairly priced and easy to find. A car during Montreal winters will prove to be especially useful. But during the warmer months, many models may choose to walk around to enjoy the beautiful city. Montreal agencies don't advance expenses for models. If a model wishes to come to Montreal, they will have to pay their own way. Montreal agencies don't offer models a guaranteed contract. There is not enough work in the market in order to guarantee that a model will get enough bookings in a specified time. Standard Contract: When you sign with an agency in Montreal, the contract is usually for one year so the agency can see how you do and what your response is from clients. If you end up working well with the agency, they'll keep you on. If you aren't working with the agency, they might still keep you on the board. If you're not from Montreal, but an agency has taken you on, your contract may be longer than 2 years. Learn some French – If you are going to work and/or live in Montreal, learn to pick up some French. Clients will appreciate your effort and you'll also find it easier to get around the city. Although Canada is officially bilingual, a lot of people can't speak English in Quebec whereas a lot of people can't speak French outside of Quebec. Test the market first – If you're planning a move to Montreal, test out the market first. Since there are so few castings, it might be in your best interest to work in a larger market e.g. Toronto. This will allow you to go to castings during the week and go for direct bookings in Montreal. By working in both cities, models can be busier and potentially earn more money. Many models like to go to Montreal for a couple weeks or even a month to meet some clients a couple times out of the year so they can develop connections in the city. Work it out - Although Montreal is similar to Hamburg in that they both specialize in direct bookings, Montreal has no where near as much work. As a result, the competition amongst models in Montreal is high. Especially because many models who aren't even in town also get equally considered for jobs as those models in town. But if you do book a job, make sure you do the job as well as you can. Montreal clients are renowned for booking models over and over again. This is where learning a bit of French might come in handy. It will help showcase professionalism and your effort to want to work well with the clients. Commuting – If you're going to be living in Toronto and plan to commute to Montreal, you can choose to either fly Porter Airlines, take the ViaRail train, or the Greyhound bus. Clients will almost always provide $200 towards the cost of a model’s travel and hotel. The model pays the difference. Although flying is usually much quicker, taking the train or bus is significantly cheaper than flying by a couple hundred dollars. Dress warm – If you plan to be in Montreal during the winter, dress warm! Canadian winters are notorious for being very cold and Montreal lives up to that expectation. Although it's six hours away from Toronto, Montreal has even colder winters where the temperature in the day can go as low as -30 degrees Celsius (-22 degrees Fahrenheit). Summer is a good season in Montreal so models who are not a fan of the cold weather should consider going during this time instead. The following photographers are currently some of the best in Montreal. Most of these photographers are not available for test shoots or creatives, but if you're working in Montreal you might have the opportunity to shoot with them. Shooting with any of the photographers below will result in beautiful photos or tearsheets for your portfolio that you'll use for a long time. Richard Bernardin, Saad Al-Hakkak, Yann Ostiguy, Brian Ypperciel, Maud Arsenault, Donat Boulerice, Max Abadian, Anthony Turano, Mayaan Ziv, Genevieve Charbonneau, etc. Most clients in Montreal do speak English so models won't have a problem communicating with them. But there are some people such as cashiers or waiters who don't speak English very well. Therefore, learning a few basic French phrases such as 'excuse me', and how to as for directions will come in handy and will also be seen as courteous. But for the most part, models should have no problem finding someone who speaks English whether it be to ask for directions or order food. Montreal doesn't have any model apartments. If you plan to go to Montreal, you can ask your agency there if they have any accommodations available or know of any that you could rent. You can also check out: “http://airbnb.com” for great rates on Montreal hostels. Most hostels have rates around $50CDN per night. People: Some Montreal natives may be annoyed if you don't speak French and ask them a question in English e.g. “Where's the bathroom?” Although not entirely necessary, learning a few French phrases may spare you a few eye rolls. Special thanks to Leiana Charron - Booker at Specs Models.